The Ahi is hand wrapped in our all new Cudaskin™ with an inlaid carbon fiber stringer on both the top and bottom. 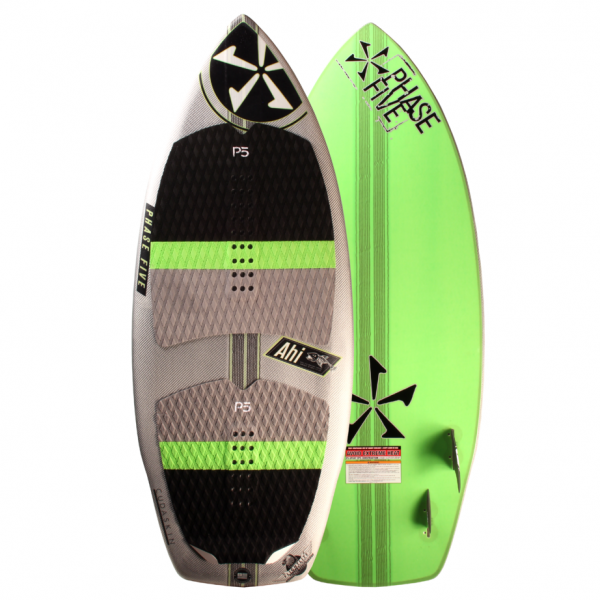 The boxier squash tail creates a tremendous amount of pop off the wave, while the forward placement of the quad fins keep it spinning easier and fast down the line. The pulled in nose makes it faster rail to rail through turns. This is where good looks meet high performance. If you like the Aku, you will love Ahi. 46	46″ × 18.75″ × 1.25″	16 Liters	140 Lbs. 53	53″ × 20.5″ × 1.5″	20 Liters	190 Lbs. 58	58″ × 21″ × 1.6″	23 Liters	240 Lbs.